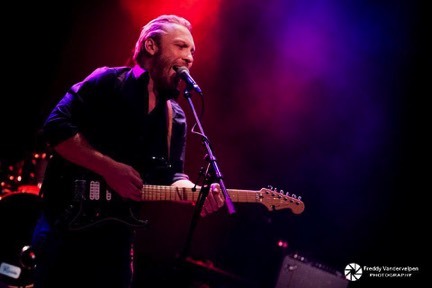 Tensfield is a distinctive bluesband from Leuven. With the refreshing and energetic music on their debut Freeze The Clock, the band writes a new page in the history of the blues. Freeze The Clock dwells on our society and on the pressure we all experience, one way or another. It is an album that talks about time, confusion and how we experience the events around us. The lyrics focus on universal themes, there is always a part someone can relate to. 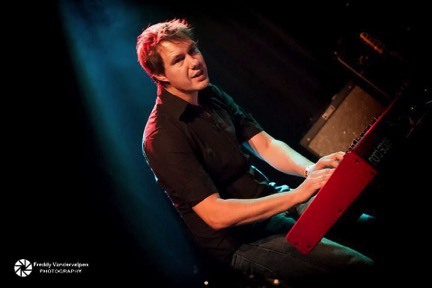 Singer and guitarist Raffe Claes writes most of the songs, but Koen Geudens (keys) and Geert Zonderman (bass) have also contributed to this album. The writing process usually begins with one of them initiating a song, after which they finish it together. This process is very important to all four of them. Tensfield starts with blues and then gives a new dimension to the classic chord schemes. That is how they create a new sound without denying their love for the blues. 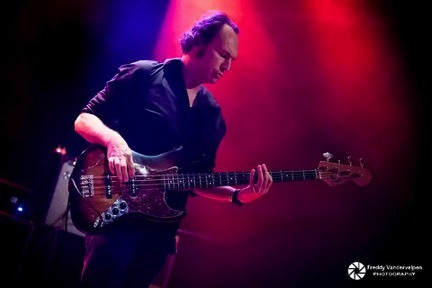 But there is more than the blues: the band shares years of experience in jazz, rock and funk. All these different styles filter through their music and give it an extra dimension. Tensfield is a band with a story, loads of energy and spontaneity. The album brings honest music with soul, and shows the band members exactly as they are. Enjoy! And now and then: freeze the clock! The album “Freeze The Clock” is available through the studio upon request, via iTunes and all other digital stores.